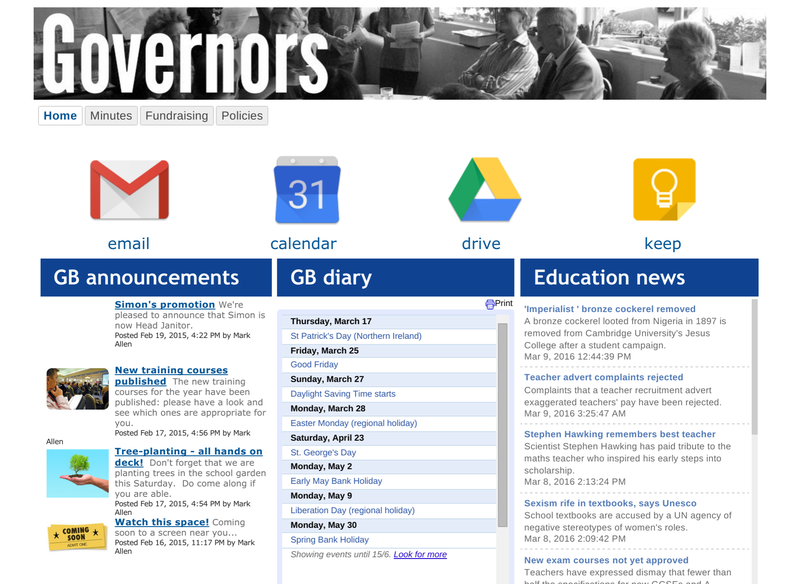 The Governor Portal is an ‘everything-in-one-place’ resource which becomes a natural focus for all your governors. 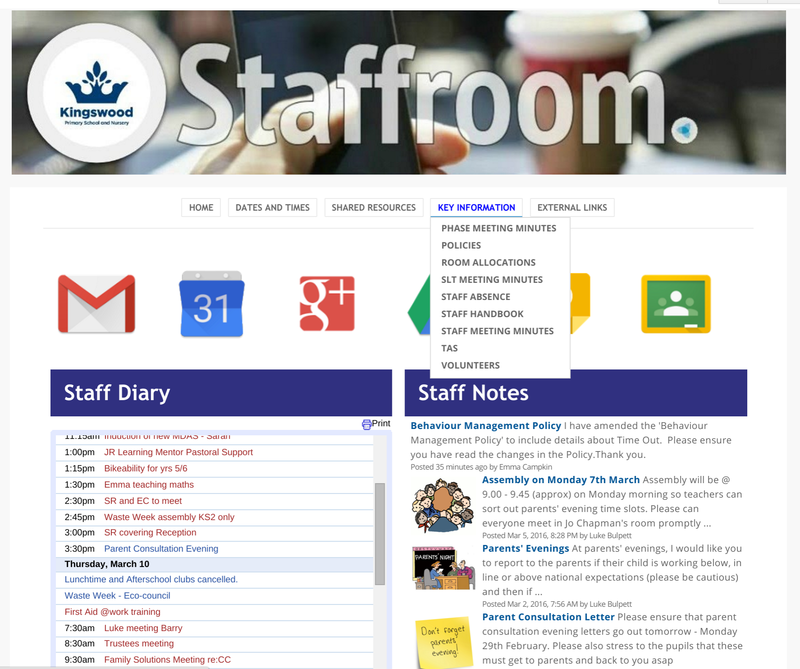 It’s made up of three main elements: GB, school and general governor news; the tools and services you want to encourage them to use; and shared resources - forms, plans, policies and other stored resources. When your governors know that they need to access the Portal to fully participate in the GB, it becomes the natural place for them to go to find things and means that everybody is up-to-speed and on the same page - ahead of the meetings. Credibility in the online world is driven by people’s willingness to share, and yet this isn’t something that comes naturally for many. By building online communities - internal and private if appropriate - your people can develop the sharing reflex which is an essential part of modern digital literacy. 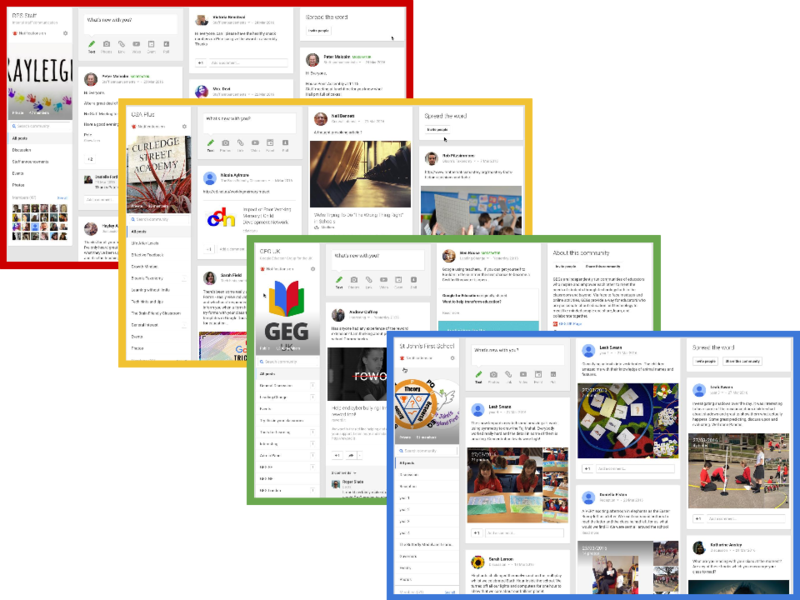 This can start out as a ‘found on the web’ pinboard before moving to a ‘look what we did’, ‘here’s how you do it’ or ‘help wanted’ noticeboard which encourages your people to feel that they are part of something bigger.